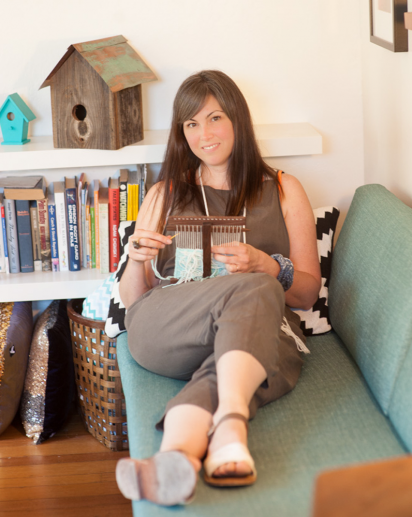 I am Meghan Shimek, a weaver living in San Anselmo, CA. I am originally from Flint, Michigan, and have lived in Washington, DC, San Francisco, CA and Tempe, AZ. I am a mother to my wonderful three-year-old son, Grey. I am a bit of a wanderer and am always seeking out adventure while at the same time I consider myself a homebody. I love traveling, but I often love just staying home and working in my studio.